Russian Supreme Court to review sentence of Nikandrov in October | Russian Legal Information Agency (RAPSI). MOSCOW, September 21 (RAPSI) – The Supreme Court of Russia will review a ruling in the case of Denis Nikandrov, a former high-ranking investigator of Russia’s Investigative Committee, sentenced to 5.5 years in a penal colony for corruption, the court’s database reads. 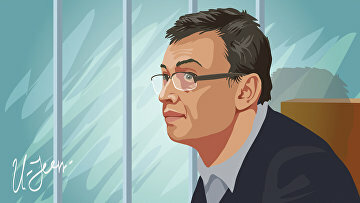 In August, the Moscow City Court sentenced Nikandrov to 5 years and 6 months in prison with no fine. The defendant was also prohibited from holding law enforcement posts for 3 years and deprived him of his General rank. The trial was held behind closed doors due to secret information contained in the case documents. The case was reviewed without evidence examination and witness questioning as the defendant pleaded guilty and made a deal with investigators. 16:43 21/09/2018 The Supreme Court of Russia will review a ruling in the case of Denis Nikandrov, a former high-ranking investigator of Russia’s Investigative Committee, sentenced to 5.5 years in a penal colony.